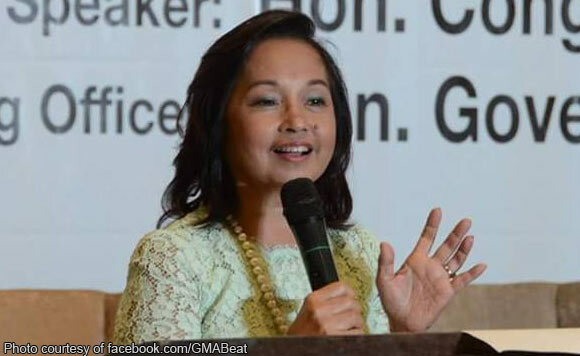 The provincial government of Bulacan has thanked former President and now Speaker Gloria Macapagal-Arroyo for the dredging equipment, which could be used to ease flooding in the area. Arroyo led recently the turnover of the equipment held beside Labangan Bridge, Iba Este, Calumpit. “Napakalaki pong grasya po ito na ipinagkaloob sa amin at sa aming lalawigan. Malaking tulong po ito sapagkat sa panahon ngayon ay talaga naman pong kitang-kita natin na konting ulan lamang ay binabaha na ang bayan ng Calumpit, ang bayan ng Hagonoy, ang bayan ng Marilao, at ang bayan ng Meycauayan,” said Acting Governor Daniel R. Fernando. According to Francis Nuñez from the Bureau of Equipment of the Department of Public Works and Highways, the multi-purpose amphibious dredger, which was given to the town of Calumpit is the latest model from Finland and is expected to pull out 165 cubic meters per hour of dredged materials from the rivers.